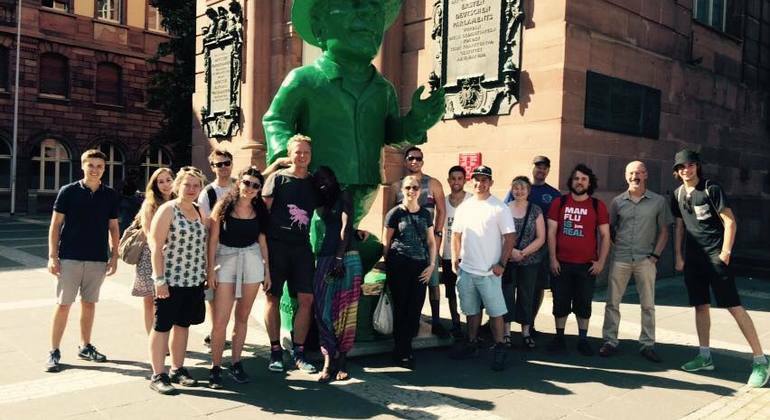 During the 2.5 hour free tour you explore the main places of interest in the urban area of Frankfurt. We start in the Römerberg square next to the Fountain of Justice. 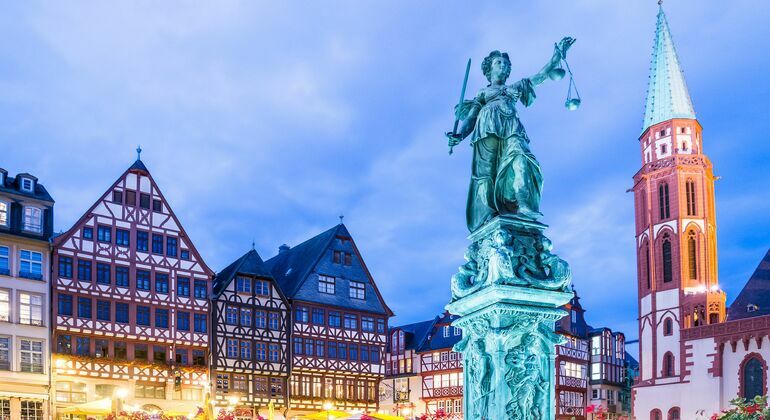 Dive into the rich history of the Celts, Romans, and Franks to discover how Frankfurt became the financial capital of Germany and one of the most diverse cities in Europe. 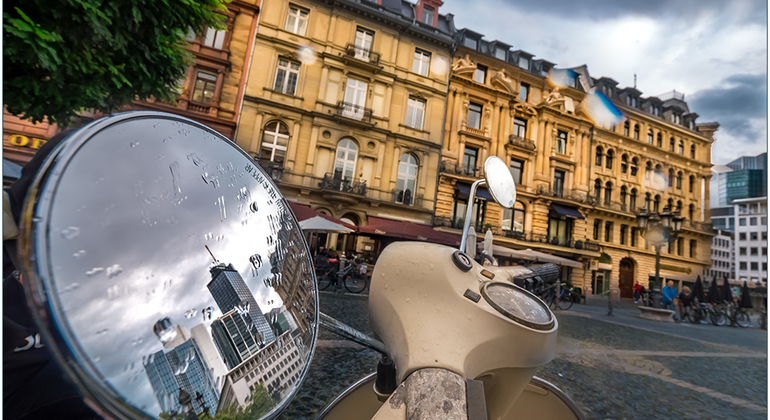 Stroll through the picturesque streets of Frankfurt and capture the beautiful metropolis on this amazing walking tour with a friendly local photographer. 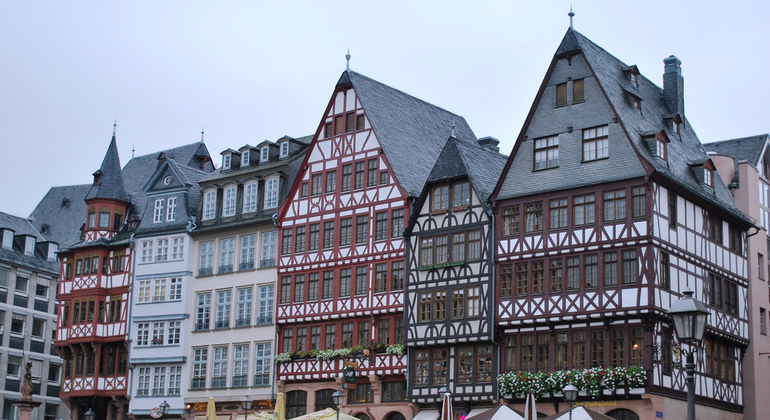 Frankfurt Am Main, born on the banks of the river Main and now often referred to as 'Mainhatten', is a city of contrasting faces where modern skyscrapers and symbols of innovation are juxtaposed with half-timbered houses and 1,200 years worth of remarkable history & culture. You can explore the varying facets of this intriguing city with fun, friendly authentic local guides on Freetour.com recommended free walking tours - explore Römerberg Plaza, the centre of the re-built Medieval Old Town (Altstadt), the Emperor's Cathedral (Kaiserdom), St. Paul's Church, the Old Opera House and much more while discovering hidden gems & stories, uncovering the alternative sides of Frankfurt and getting helpful, honest hints & tips from the excellent local guides. 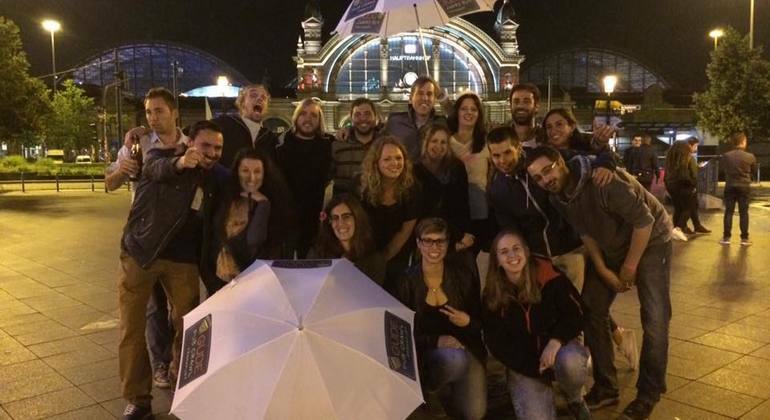 And there's much more to see & do in Frankfurt after your free tour. Discover classical & modern art-works among the 13 museums of Museum embankment, visit the Goethe-Haus museum, capture a river view on the Eisener Steg bridge, enjoy a glass of Ebbelwei in the cosy apple-wine pubs along the narrow alleys of Alt-Sachsenhausen, indulge in the diverse shopping hot-spots, vibrant restaurants & cafés, stroll some of the many public parks and embrace the exciting, atmospheric nightlife. With an international airport, a hub for routes all around the world, it's as easy to get to Frankfurt as it is to have a great time here.